Leicester City ended their pre-season on a high as they beat former manager Martin O'Neill's Premier League Sunderland by a single goal at the King Power Stadium. 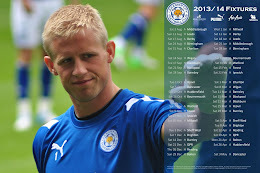 The Foxes had the better of a goalless first half, Richie de Laet and Ben Marshall going closest to scoring for the home side, whilst Kasper Schmeichel was called into action to deny Fraizer Campbell for the Black Cats. Summer signing Jamie Vardy - who missed the goal by inches with a towering header - and January recruit Danny Drinkwater both looked sharp before the break but both players were replaced for the second half - Vardy forced-off through injury after 43 minutes - as Nigel Pearson opted to make seven changes to his starting eleven before the end of the match. With the experienced heads of Andy King and Neil Danns joining the fray alongside new blood in Frenchman Anthony Knockaert, it seemed only a matter of time before the Foxes took the lead and it was a substitute who put City ahead. Defender Tom Parkes got his studs to a Marshall corner that was badly dealt with by a lacklustre Sunderland defence to scruffily give the home side the advantage. The once again outstanding Knockaert aside, this was not a showcase of football like the Real Madrid friendly of twelve months ago. Unlike Sven Goran Eriksson's City side that contested with Jose Mourinho's galacticos, however, Pearson is building a dependable and reliable squad that looks sound across the pitch. Arguably, City's only weakness ironically remains in defence, with little cover in place following the injury to Sean St Ledger earlier in the summer. This was the game where Leicester City's academy prospects grew-up, though. Liam Moore has become a colossal defender and as the season wear-on is likely to feature in that threadbare back four, whilst Parkes is still growing but has shown that he is more than capable of holding his own in the first team. Meanwhile, the star of Jeffrey Schlupp continues to burn brightly and, although more likely to feature on-loan than for the Foxes early in the season, he could have an important role as a makeshift utility player, as he did this afternoon. This, then, was as positive as pre-season results come. Both teams were given a thorough workout and exposed the other's flaws, whilst from a Leicester City point of view the result will give a much-needed boost before the long trip to Torquay on Tuesday evening, as the Foxes kick-off their season in the League Cup first round. Pre-season is now finished, the jigsaw is fitting together, and the 2012/13 football season has nearly arrived. And things are looking up for City.